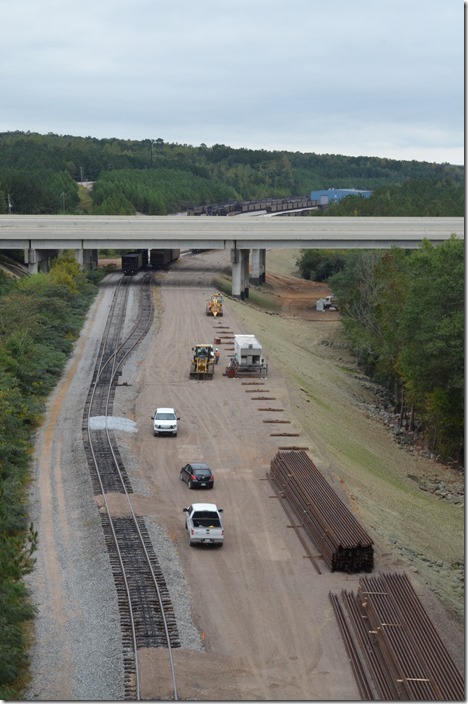 On the L&N Historical Society convention agenda for Saturday morning, Oct. 03, were two programs: “Birmingham Grade Separation” presented by John Stewart and “Birmingham Southern Railroad” by Ron Mele. John’s program dealt with the problems caused by the “railroad reservation” through downtown Birmingham and the heavy traffic primarily of the L&N and Southern (AGS). 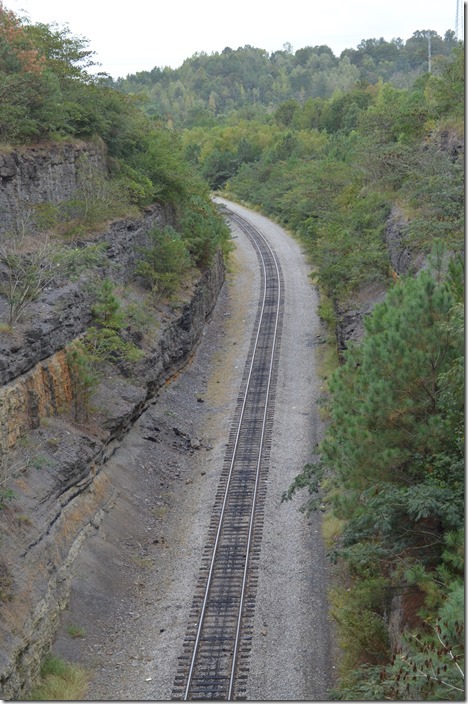 Ron’s program covered the largest Birmingham short line, the U. S. Steel-owned Birmingham Southern, that runs everywhere and interchanges with all of the Class 1s and industrial lines. Both were very interesting and informative. The rest of the day was unscheduled, so attendees could visit model layouts or railfan. I left the truck with Sue and Elizabeth at our Holiday Inn, so they could visit the antique stores and shop. Ed Faggart invited me to ride with him and explore the abandoned L&N Cain Creek Branch. Ed had acquired some vintage USGS topo maps and had already ventured into the area. First we visited John Stewarts basement to see his HO layout depicting the Birmingham railroad scene (with a couple of C&O H-6 mallets). Afterward we headed northwest out US 78 to Graysville and then turned southwest onto a county road that took us over to the West Jefferson area. 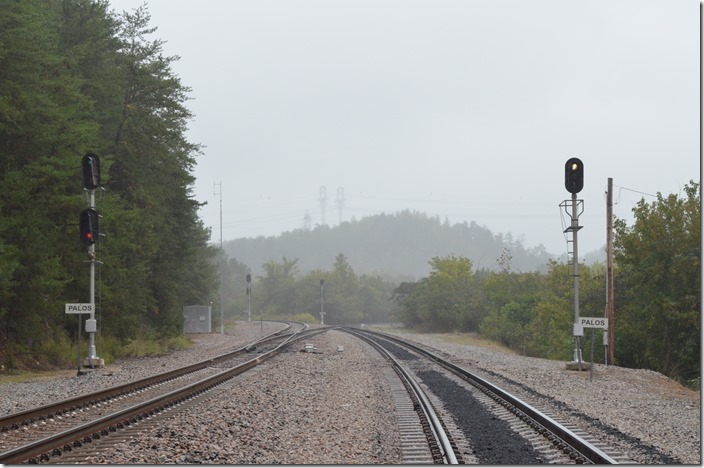 Ed had explored that area the previous day and had encountered a BNSF coal train heading to the power plant. 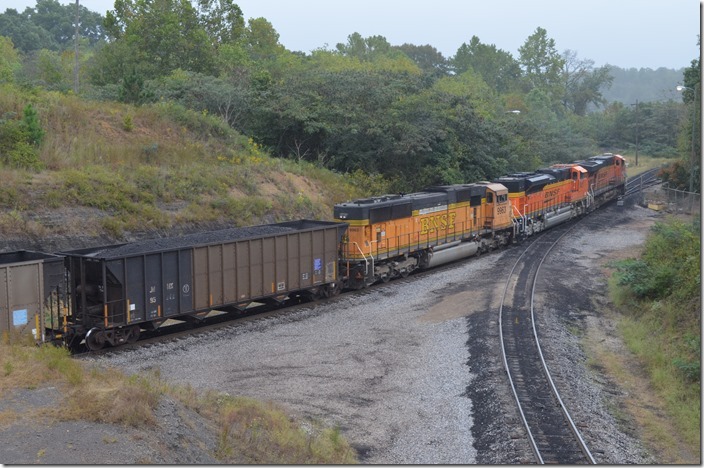 This luck held out for me also... another BNSF coal train was heading into the plant! We raced ahead! 1. 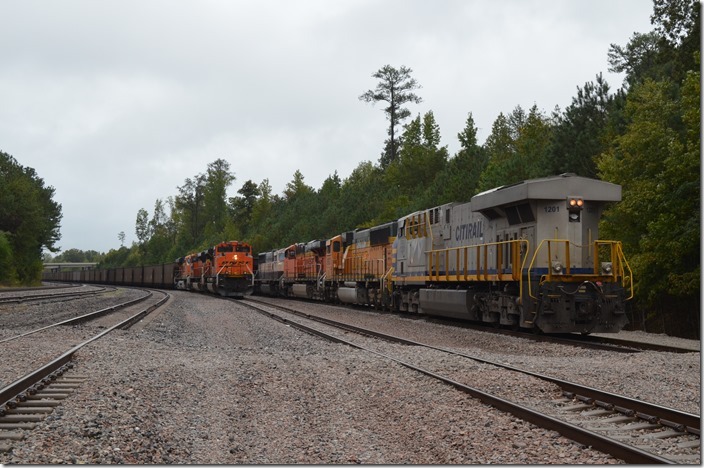 BNSF 5655-8566 start around the loop with 130 JHMX, APOX, HYWX, FURX, RWSX and CNFX loads of PRB coal from Wyoming. Arrriving Miller Plant. 2. 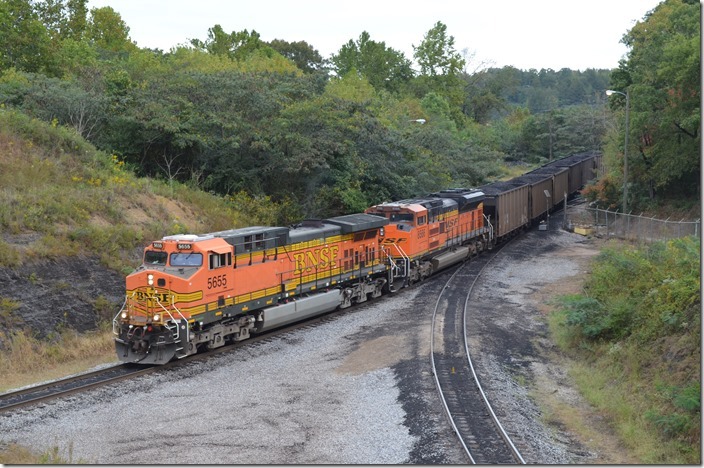 BNSF 5655-8566 arriving Miller Plant. View 2. 3. 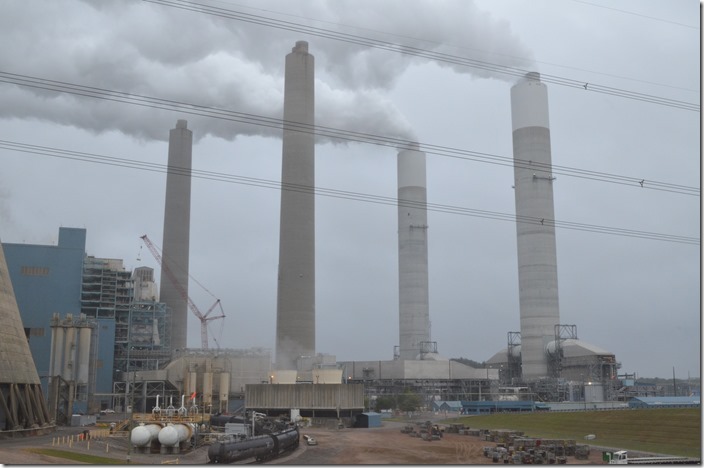 Alabama Power is a unit of Southern Company. 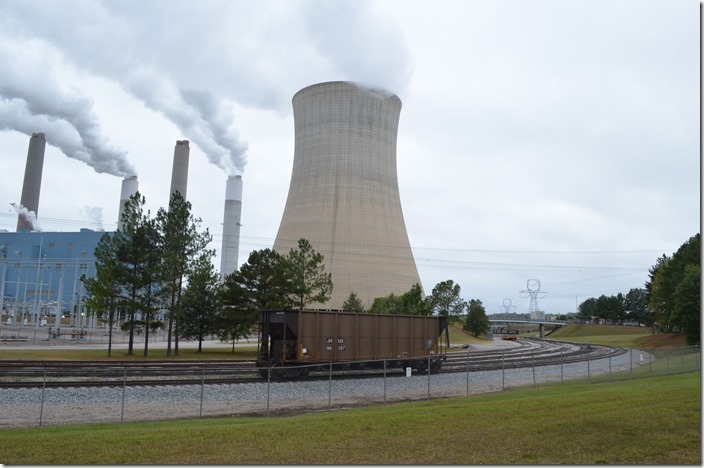 The John H. Miller Plant’s first 705.5 MW unit went on line in 1978. The last of four was started up in 1991. At 2822 MW this is a huge plant. 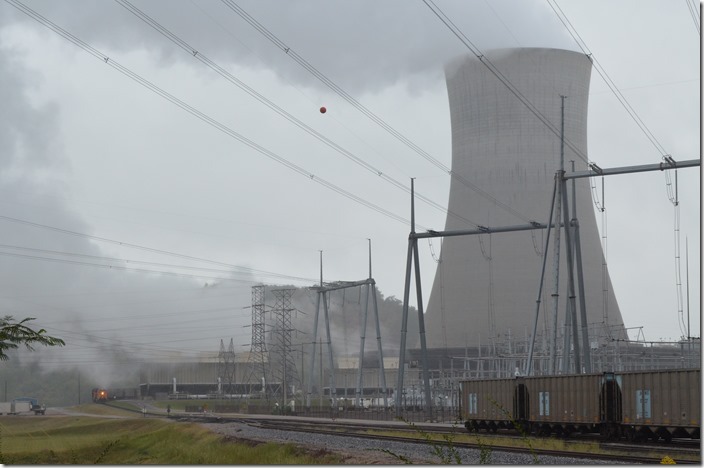 Keep in mind AEP’s largest is the John Amos Plant near St. Albans WV and it is 2900 MW. 4. AL Power J. H. Miller Plant. View 2. 5. AL Power J. H. Miller Plant. View 3. 6. 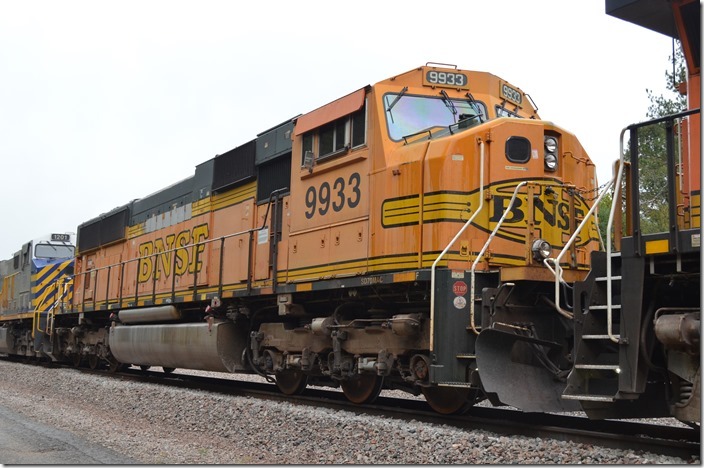 It took a while, but the DPU units – BNSF 9963-8437-5872 – slowly move into view. The switch in the background led around to the L&N when they supplied the plant. AP uses it for car storage now. “JHMX” is a Southern Company reporting mark, but it indicates J. H. Miller. 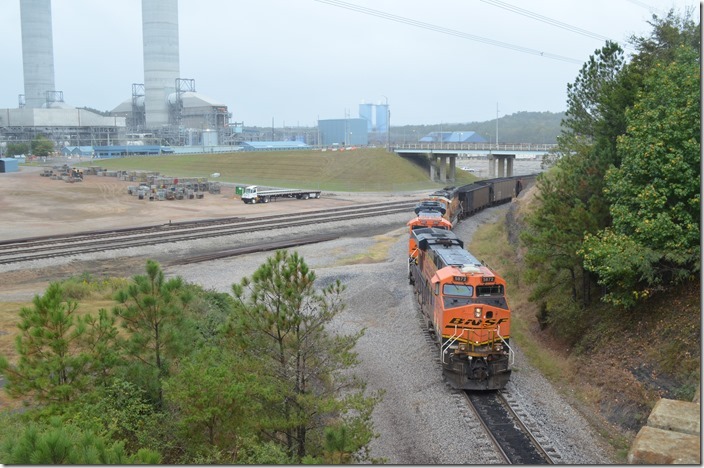 BNSF 9963-8437-5872 ar Miller Plant. 7. 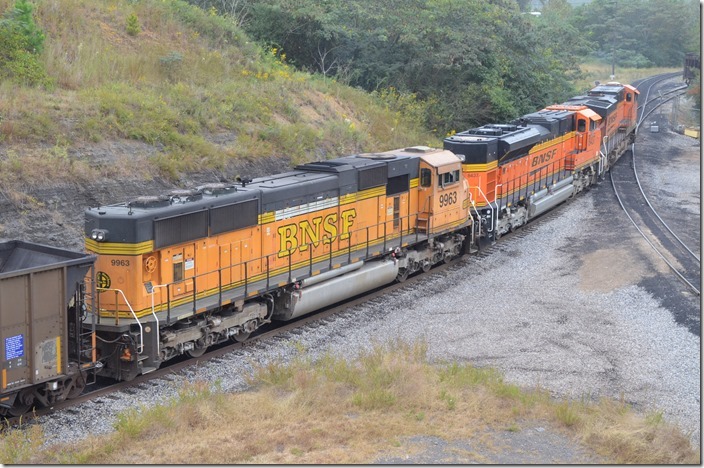 BNSF 9963-8437-5872 West Jefferson. View 2. 8. BNSF SD70MAC 9963 West Jefferson. 9. BNSF SDE70ACE 8437 West Jefferson. 10. BNSF ES44AC 5872 West Jefferson. 11. BNSF SD70ACe 8437 West Jefferson. 12. BNSF SD70ACe 8437 West Jefferson. View 2. 13. 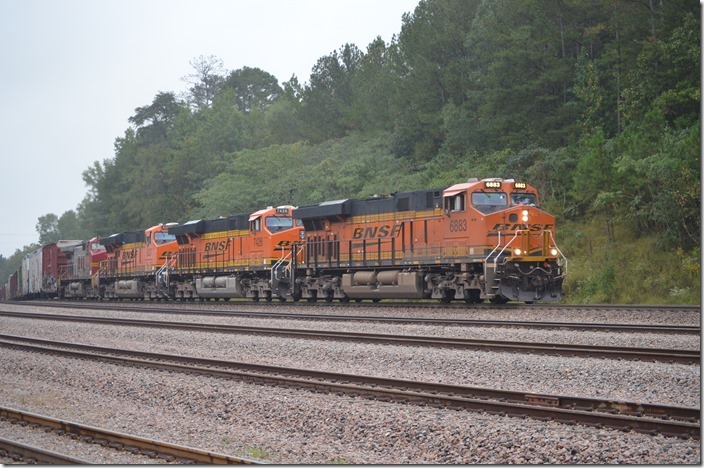 BNSF 5872-8437-9963 ar Miller Plant. 14. 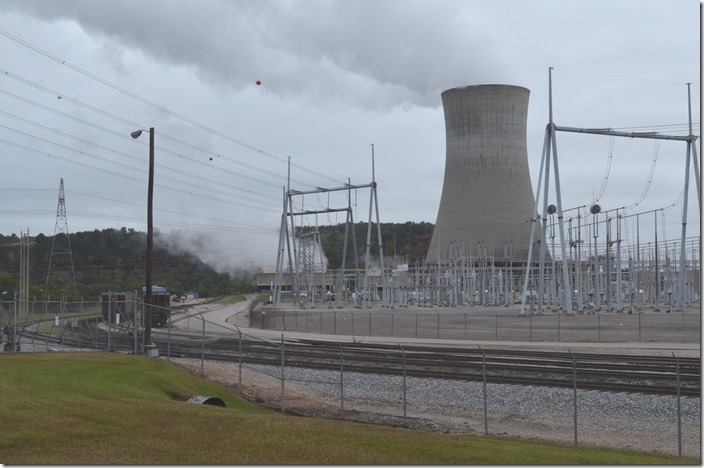 Alabama Power J. H. Miller plant has installed scrubbers. 15. 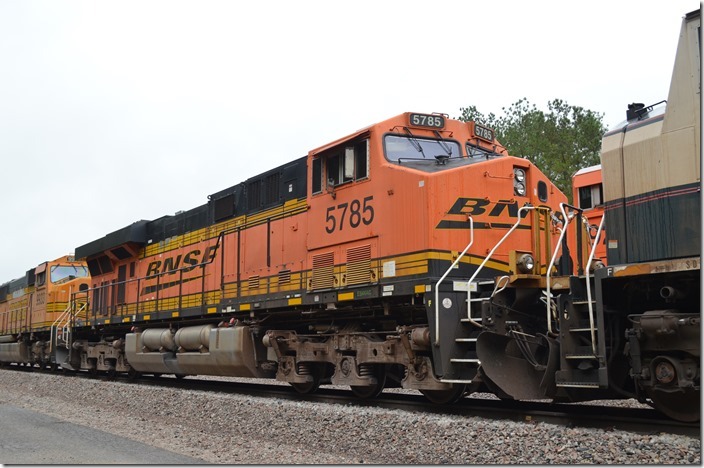 BNSF 5655 slowly rounds the big loop as the train unloads. 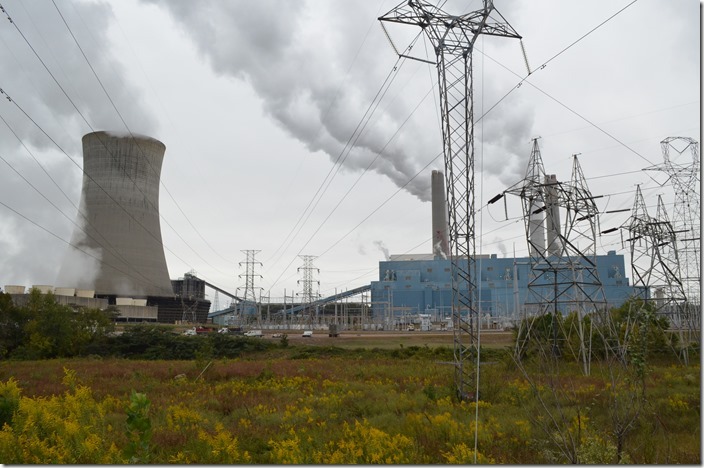 Although the plant sits in the middle of the Warrior Coal Field, it burns only 7000 BTU western coal. 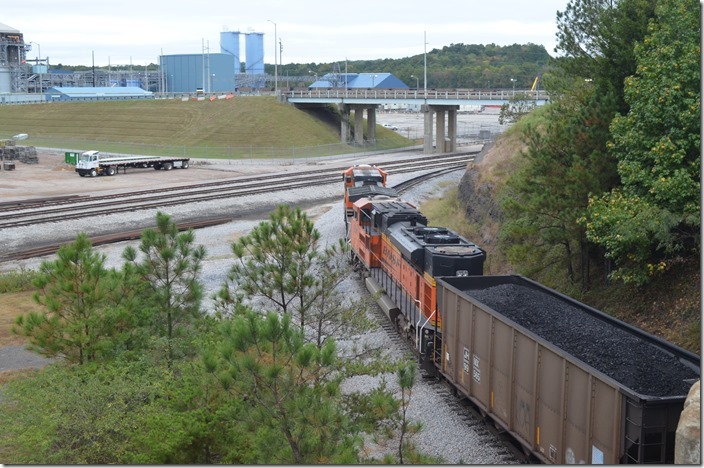 One of the security personnel told us they receive 4-5 coal trains each day! Wow! BNSF 5655 unloading Miller Plant. 16. 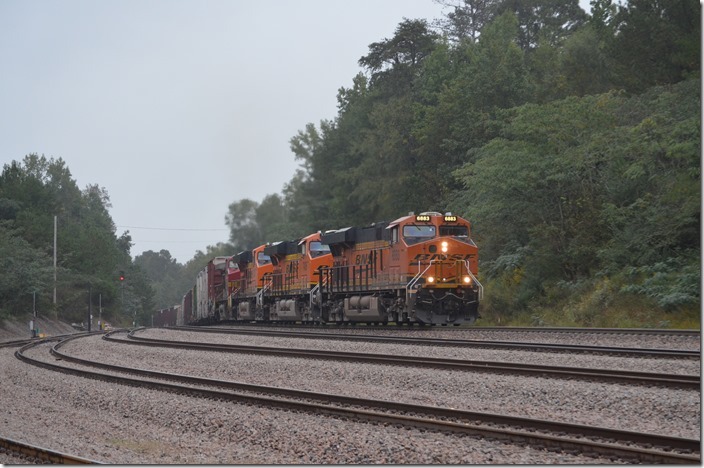 BNSF signals Palos AL. 17. Looking south on the Birmingham SD on the left and the switch to the power plant on the right. Palos AL. 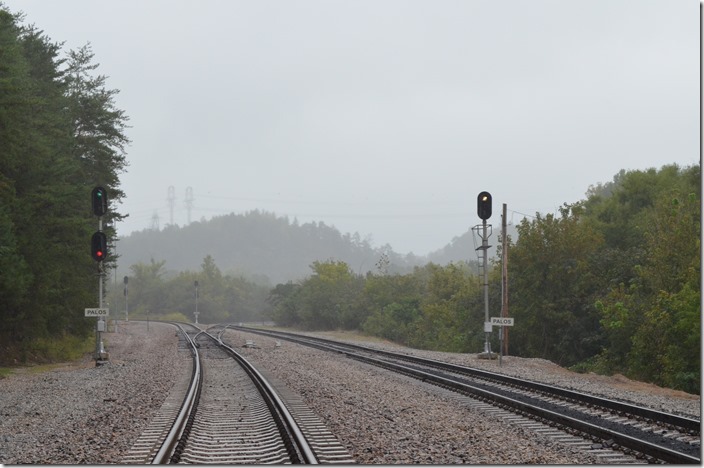 BNSF signals. 18. 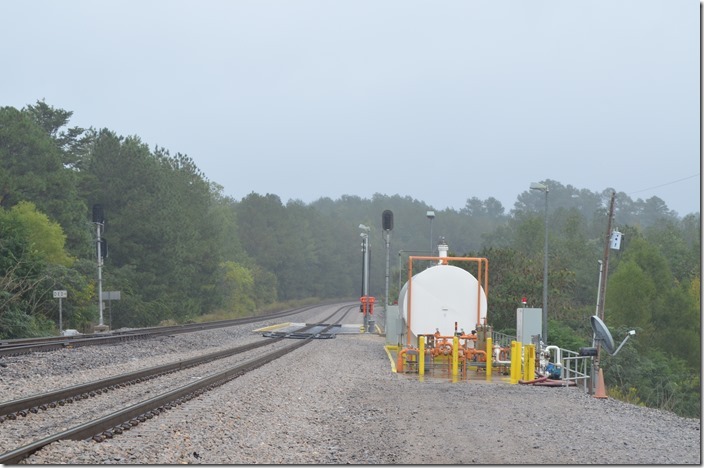 Looking south at the BNSF fuel pad at the south end of Quinton Yard. Palos would be around the curve. 19. 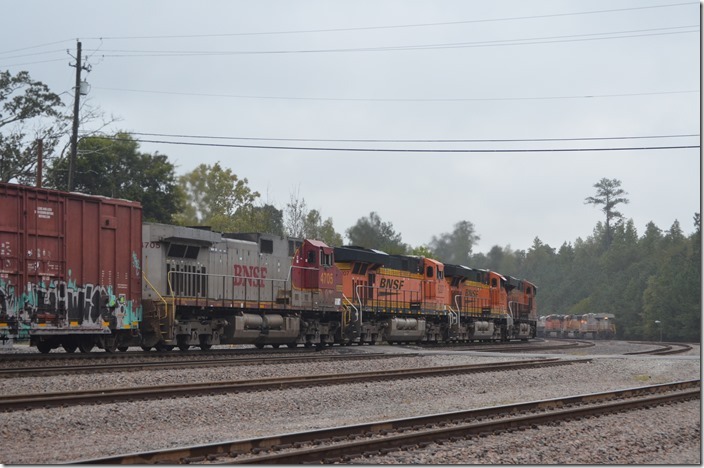 BNSF 9222 is on a northbound empty train, and CREX 1201 is part of a DPU set on a southbound train at the north end of Quinton Yard. 20. 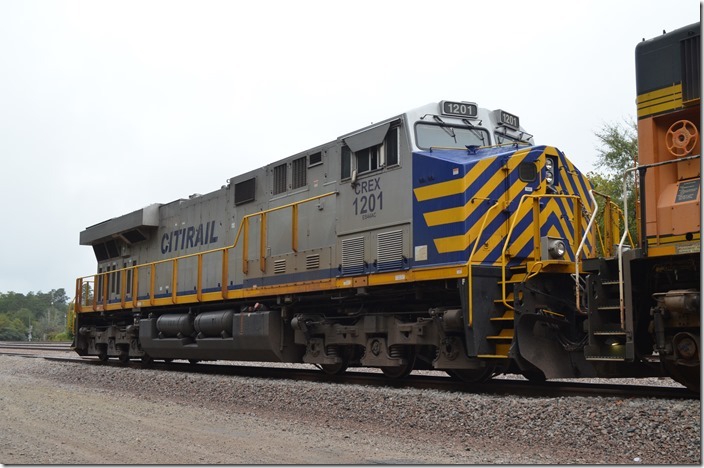 CREX (CitiCorp Railmark) ES44AC 1201. Quinton AL. 21. 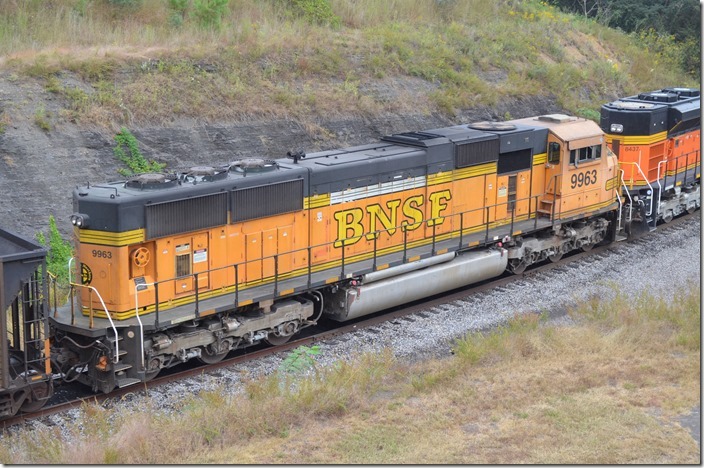 BNSF SD70MAC 9933. Quinton AL. 22. 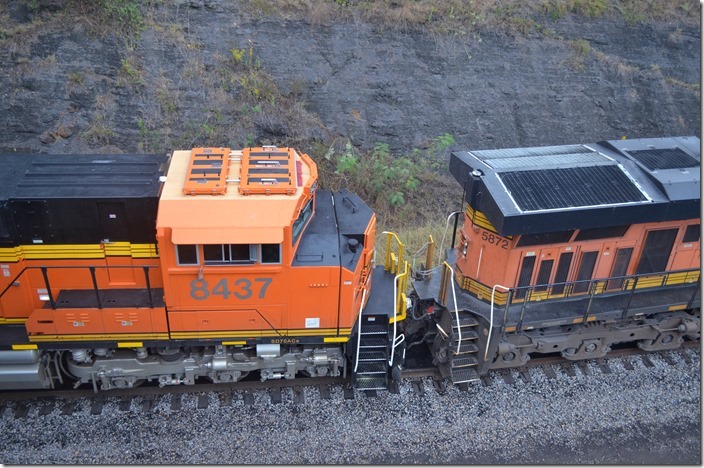 BNSF ES44AC 5785. Quinton AL. 23. 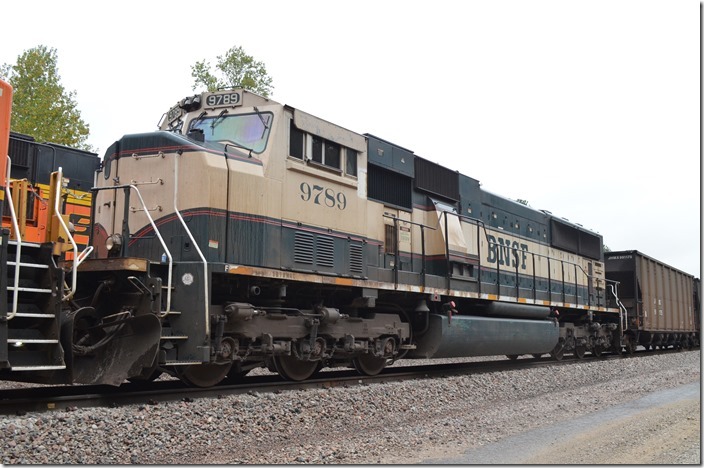 BNSF SD70MAC 9789. Quinton AL. 24. 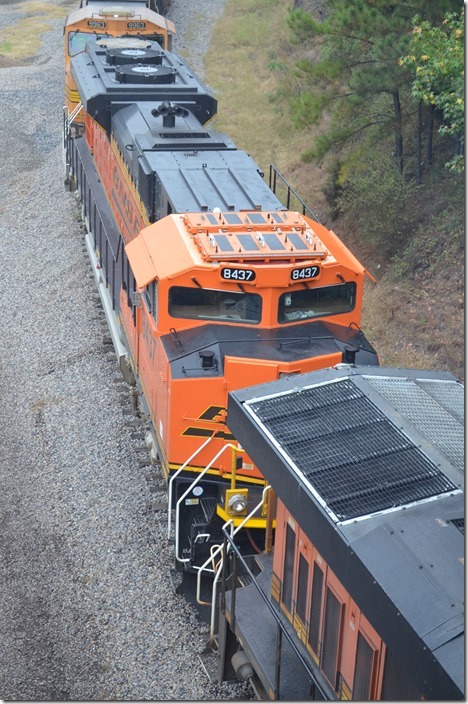 CREX 1201 BNSF 9222. Quinton AL. Note concrete ties in yard. 25. We heard the rumble of a train coming from the north and obviously straining up a heavy grade. 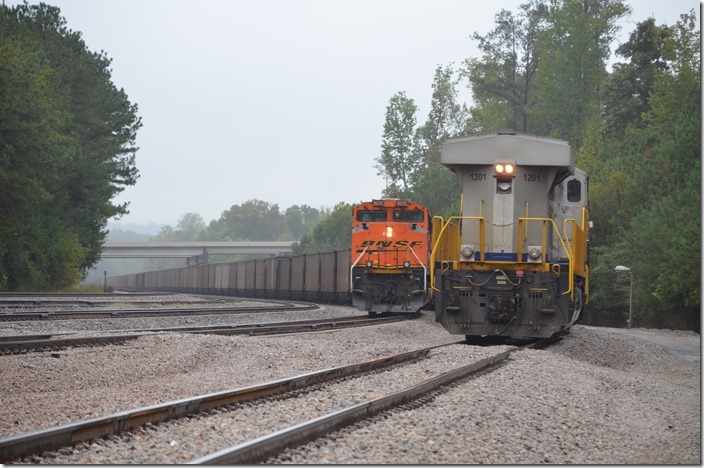 NS’s line from Birmingham to Memphis is nearby, but we were not to be disappointed. 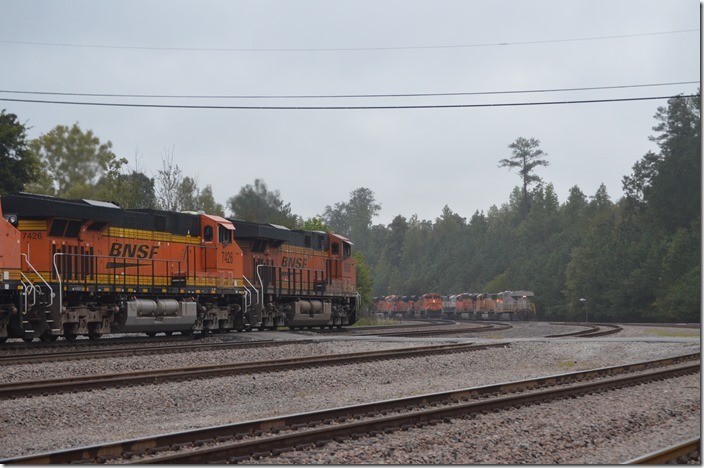 BNSF 6883-7426-6207-4705 lead this 107-car southbound manifest toward Birmingham. Quinton AL. 26. BNSF 6883-7426-6207-4705 Quinton AL. View 2. 27. 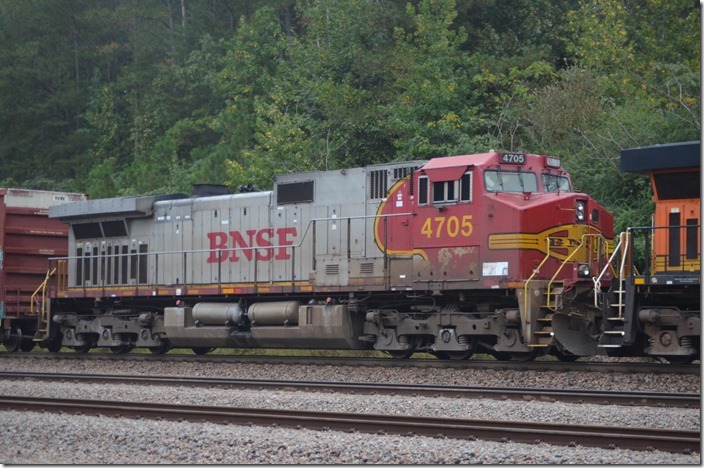 BNSF C44-9W 4705. Quinton AL. 28. 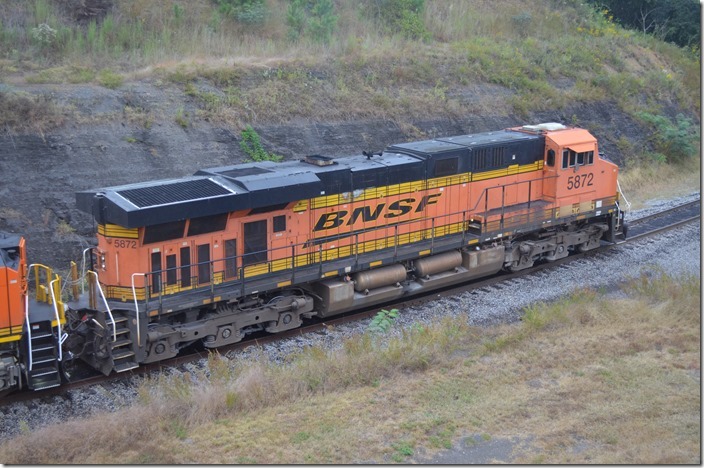 BNSF 6883. Quinton AL. 29. 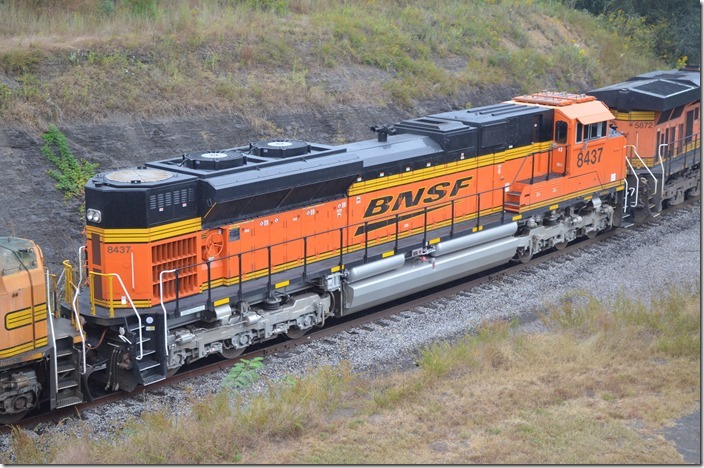 BNSF 4705-6207-7426-6883. Quinton AL. 30. Looking south at the spur from the plant to the car shop and also a connection with NS. Alabama Power shop spur. 31. Looking northeast at the Alabama Power Car Shop. Looks like it is being expanded. That is I-22. Ed says AP has an engine, but we didn’t have time to check it out. This was a most enjoyable afternoon exploring new territory. It was getting dark, and we had to get back to Hoover to attend the L&NHS banquet.